We eat a lot of bread in my house. 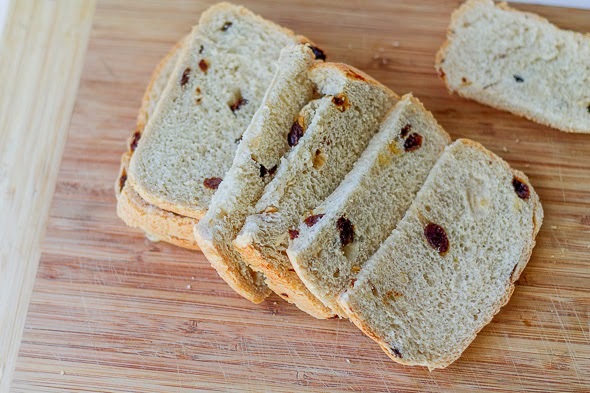 My kids are constantly hungry and homemade bread is a great way to save money. We use it for toast, sandwiches, french toast, croutons, you name it. Plus homemade bread makes great breadcrumbs. 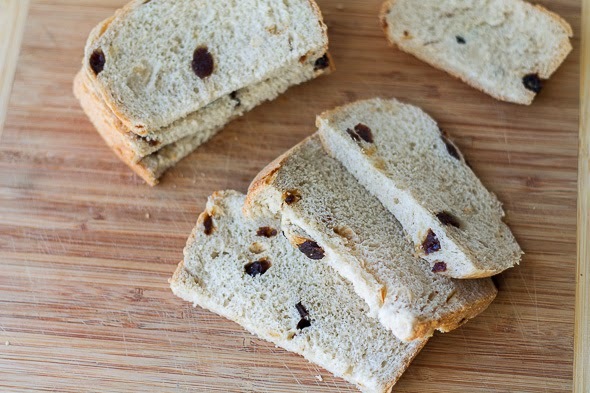 The following is a recipe for Homemade Raisin Bread. It can be made with or without a bread maker. If using a bread maker add liquid ingredients to the bread pan. Add dry ingredients (except yeast) to the pan. Man a will in the flour and add yeast. Select regular/basic setting on your bread maker, makes 1.5 pound loaf. If making by hand or with a mixer, mix wet ingredients together. Add yeast to dry ingredients. Add wet ingredients to dry ingredients and combine until dough forms. On a floured surface or in your mixer knead dough for 5 minutes. Roll dough into ball and add to an oiled bowl. Cover bowl with plastic wrap and let sit until doubled (1-2 hours). Form dough into a loaf shape and add to a greased loaf pan. Cover with plastic wrap and let rise until 1 inch above the top of the pan (1-2 hours). Bake in a pre-heated 350 degree oven for 30-35 minutes. Tent with foil if crust and top brown too quickly. Wait until cool to slice. All-purpose flour can be used instead of bread flour, however, bread flour makes a superior rise and flavor. 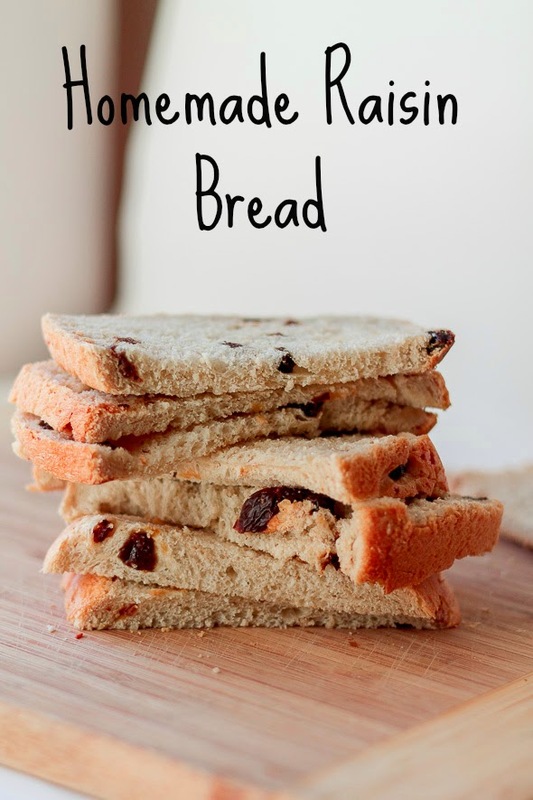 I prefer dry milk and water in bread recipes. However, I have made this recipe with regular milk (omit the dry milk and add 1 cup regular milk). Heat the milk with the butter on the stove and then add to other ingredients. Don't let this dough over rise in the loaf pan or the top will fall in the oven (trust me I did it once). Don't worry if the bread begins to get really brown on top, my family loves the really browned outside. The first time I made it I thought it was burnt, but they absolutely loved the browned sugar tasting crust!